On the 28th and 29th June 2010 Right To Ride attended, what was hailed, as the 1st International Motorcyclists Conference in Brussels, organized by FEMA (Federation of European Motorcyclists Associations) in partnership with the Canadian and Australian motorcycling associations and the European Commission. The Conference was also the launch of the European Motorcyclists Forum by the European Commission. 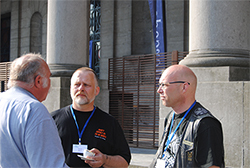 The objective of the initial Motorcyclists Forum at the conference was to give the users of PTWs (motorcycles – scooters and mopeds) the opportunity to put their views directly to the research community and the decision makers. The forum would be a platform for discussion allowing riders to exchange views with the policy strategists and decision makers, on their future needs and expectations. That the forum would be permanent, it would meet once year and have momentum. Overall, there are 24 organisations in Europe on the Committee of the Federation of European Motorcyclists Associations (FEMA). The Committee is responsible for the policies and positions of FEMA. The members of these organisations represented in FEMA are 200,000 throughout Europe. The process of deciding policies and positions within FEMA is through a consensus vote of the member organisations. There are many organisations in Europe that are not on the FEMA Committee, nor support FEMA. For example, Right To Ride prefers independence and a direct dialogue with policy makers and politicians. In the case of the Framework Regulations, at Right To Ride, we found that our independence made it easier to communicate directly with the policy makers, due to our experience and knowledge of the issues. 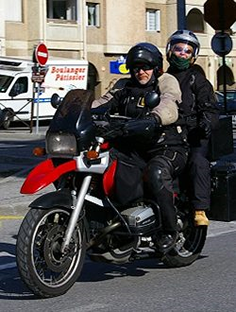 In the case of the Europa website where the comments “motorcycles are dangerous and should be restricted and discouraged”, we found that our correspondence with the civil servants within DG MOVE enabled us to get our point of view over. At the conference, the Head of the Road Safety Unit at DG MOVE, commented “FEMA is an Institution”. Many of the organisations within FEMA were founded on megaphone diplomacy: a bunch of people who wanted to fight for the rights of riders in their own countries. 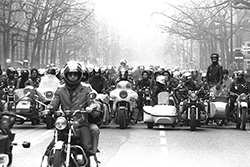 Over the years riders’ organisation found that knocking on the doors of the Institutions was beneficial and helped to get their case over to the politicians, with the fall back position of demonstrations, civil dissent and a decision not to compromise. FEMA was also founded on these principles and we believe that FEMA is doing an important job in promoting motorcycling within the Institutions of Brussels, but NOT as an institution. 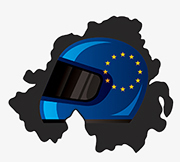 We will continue to support FEMA as the representative of its member organisations, but we will maintain our independence and continue to chip away on the issues that we believe affect motorcyclists in Northern Ireland, preferably in agreement with FEMA or any other representative organisation such as FIM (Fédération Internationale de Motocyclisme), but where there are differing points of view, we will respectfully, put forward our own. We support the principles of the Motorcyclists Forum and look forward with interest regarding its structure and influence, as well as the opportunities to promote the positive aspects of motorcycling. More importantly, we are very supportive of the input within the forum of FEMA, FIM and ACEM (Association des Constructeurs Européens de Motocycles). However, we would also hope that this forum will aim to encourage the input of independent organisations, as well as scooter and moped riders who make up just under half of the 20 million PTW riders in Europe. 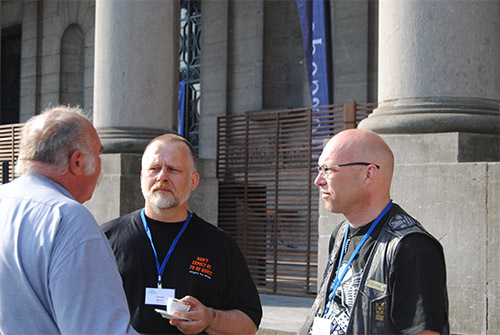 Full report on the International Motorcyclists Conference – Below. Brussels – Motorcycling Still Fun! 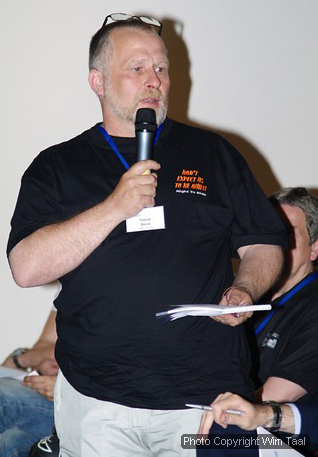 On the 28th and 29th June, Right To Ride attended what was hailed as the 1st International Motorcyclists Conference in Brussels, organized by FEMA (Federation of European Motorcyclists Associations) in partnership with the Canadian and Australian motorcycling associations and the European Commission. 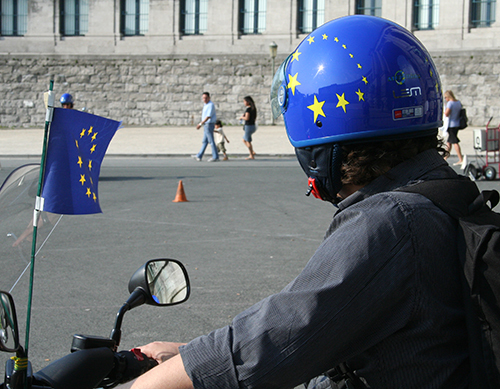 The Conference was also the launch of the European Motorcyclists Forum by the European Commission’s Madame Isabelle Kardacz, Head of the European Commission Road Safety Unit. 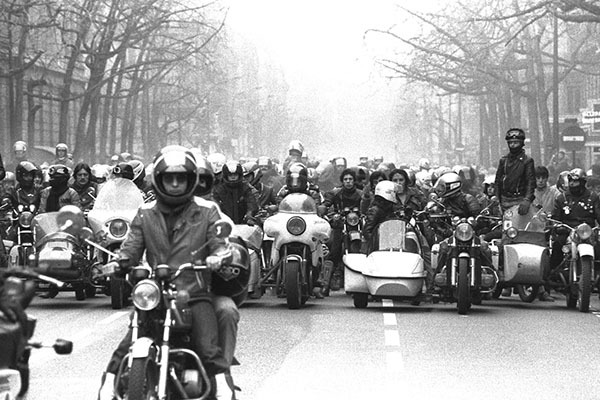 The objective of the Motorcyclists Forum was to give the users of PTWs (motorcycles – scooters and mopeds) the opportunity to put their views directly to the research community and the decision makers. The conference started with the Round Table “Motorcycling of the 21st Century”. This was followed throughout the next two days with numerous presentations which covered a multitude of issues relating to safety, risk, technology, attitude, behaviour, road infrastructure and electric motorcycles. For Right To Ride the most important question was whether the EU Road Safety Unit wished to comment on the Knowledge base Europa website which contained statements to the effect that motorcycles are dangerous and should be restricted and discouraged. The reason for this question was to understand whether the Commission was effectively serious in its dialogue with riders. After an exchange of views, there was no direct response to the question, although conversations held later on, clarified the situation – which was that we should see the Commission’s Road Safety website changed to enable stakeholders to contribute to the contents. Did the conference offer anything new or groundbreaking, or was it just another talking shop? The session on electric motorcycles was certainly groundbreaking. The remainder was interesting and gave everybody an opportunity to discuss the positive aspects of policy, research, the environment, changes in attitude towards riders and their needs, etc. In that conference, there was far more input from the riders on issues that were only briefly mentioned at this “1st” International Motorcyclists Conference in Brussels and that was training. 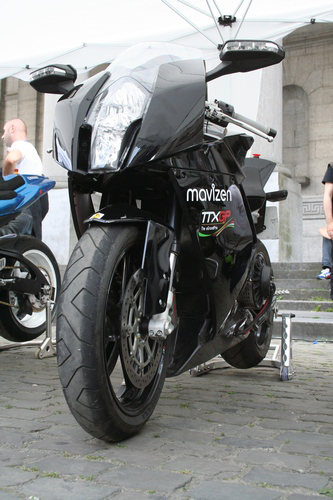 At the Prague Conference in 2004, the Initial Rider Training project was launched. “FEMA was also pleased to introduce the EU co-funded project that the Federation is undertaking jointly with FIM and ACEM starting in September. The objective is to develop a European model including best practices for training schools to efficiently prepare candidate motorcyclists before they get their bike licence”. The Initial Rider Training project has now been completed and the resulting programme ready for use. The Commission is now translating this programme into various European languages for distribution. “Countries have different training needs, based on their vehicle fleet and training resources. Motorcycle training should therefore build on existing standards, focus on risk awareness and risk avoidance, and develop an understanding of the rider/motorcycle capacities and limitations”. All the discussions about warning gadgets, clothing, behavioural studies etc which took up the greater part of the conference are secondary and subordinate to good basic training and good advanced training. So, 1st, 4th or 5th conference – it doesn’t really matter, what does matter is that we welcome and encourage dialogue with our policy makers and we are always supportive of initiatives by our fellow riders to promote motorcycling, whether it’s in Europe, the UK or anywhere in the world. 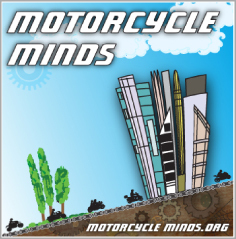 What we would suggest for the next Motorcycle Forum, is to have a good think about the core issue – the rider – how we can improve his or her ability to understand hazard awareness, road craft, the dangers out on the road etc. All that basic stuff so that we can enjoy the most amazing invention of the 19th Century in the 21st Century and beyond. For Right To Ride, the best comment came from a representative of the EU Commission who said that, as citizens we all have rights but we have a duty to share the roads, but she also said “Fun is not evil”. We agree – we have rights and responsibilities to ride safely within the law, but motorcycling is fun, we all know that and it is nice to know that some of our policy makers recognise this. Conference presentations to follow on FEMA website.